It's normal for young children to sustain bumps and bruises occasionally as part of exploring. However, learning to walk in a world of hard surfaces can turn a special moment into a heart rendering incident in a flash. Consider for one moment being the height of an average toddler. If you're not sure about this, get down on your hands and knees and have a wander around. Look at all the furniture and hard surfaces you would hit if you fell - both inside your home and outside in your garden. Now imagine you have wobbly legs, you're only just finding your balance and you fall over more than you'd like to, because you're just learning to walk. 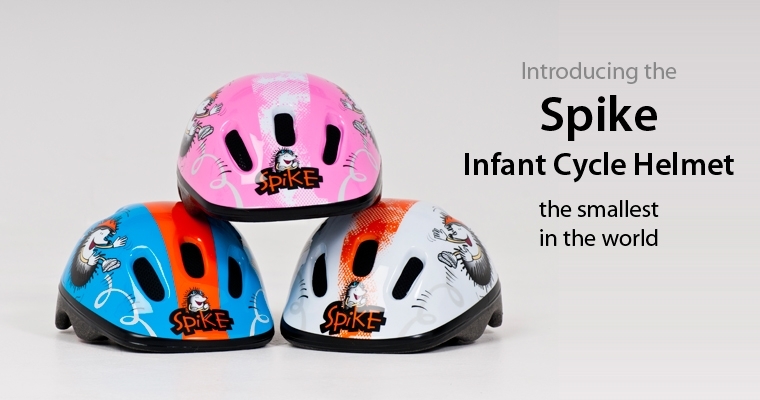 Remember learning to ride a bicycle or learning to ice skate for the first time? What are the chances of you falling over and hitting something solid? Most homes today have hardwood floors or tiles so statistically the chances are really high. The problem is this kind of fall is very common in even the safest homes and gardens. The damage to a falling toddler's hands and knees can be an acceptable form of pain for learning but a head injury can be traumatic for both infant and parent. 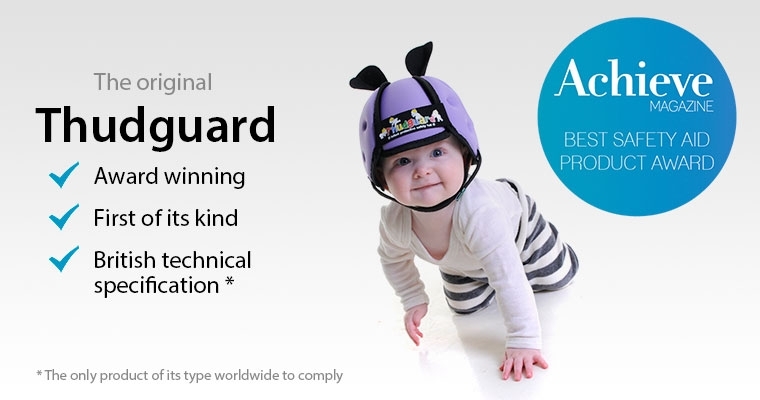 Thudguard® goes one step further and takes the protection straight to the infants head giving you great peace of mind. 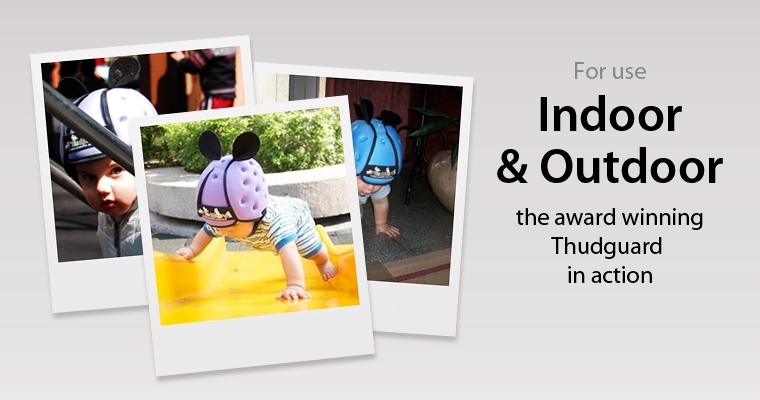 You take the FIRST STEP and protect your toddler's brain! World leader in baby head protection when infants are developing gross motor skills at the learning to walk & balance toy stages. 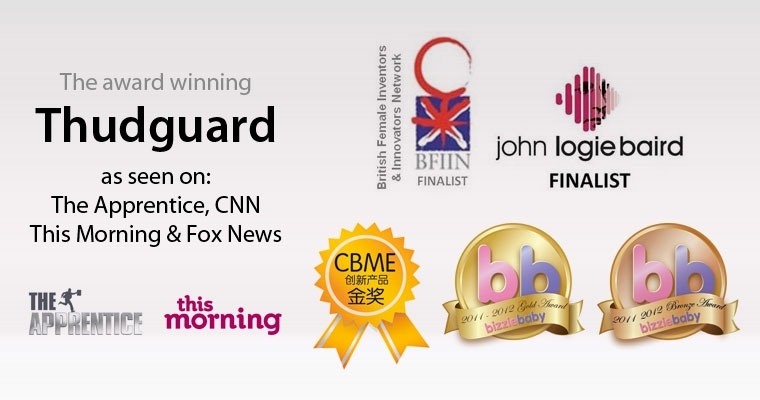 ThudguardTM is the only product of its type in the world that complies with safety standards and the only product endorsed by Children's Accident & Emergency Experts. 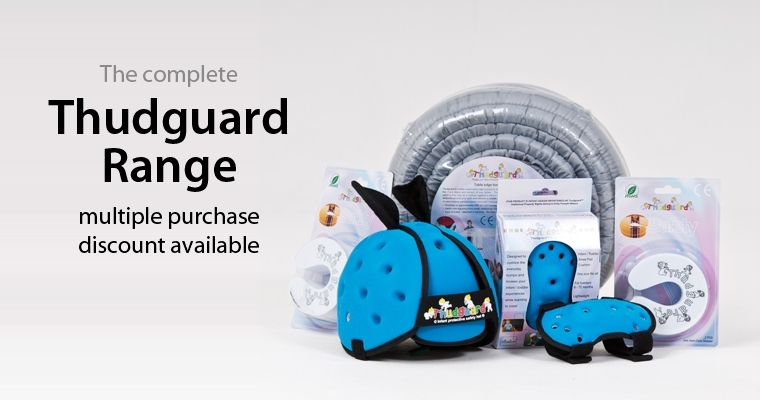 I think the Thudguard will be welcomed by many parents as a piece of equipment that may provide protection for children from a head injury.